Join us to honor our 2018 Scholarship and Grant Recipients. As a member or supporter of the Atlanta Chapter of Les Dames d'Escoffier International, you contribute to our mission of education, scholarship and philanthropy and we invite you to celebrate the women that benefit from your dedication to our Chapter. The celebration also features our popular chapter raffle that includes a variety of culinary experiences. 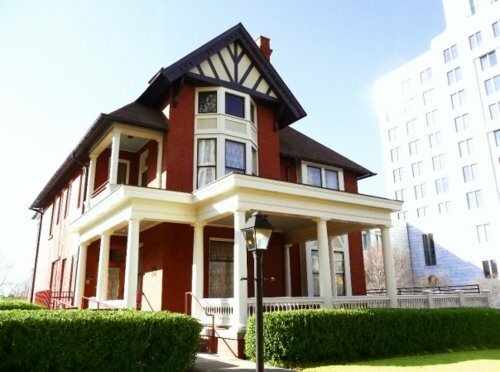 This year we are holding our scholarship celebration event at The Margaret Mitchell House operated by Atlanta History Center. We will also have access to the the viewing of an intimate photography exhibition , Weeping May Endure for a Night: The Funeral of Dr. Martin Luther King Jr. Through the Lens of Declan Haun, Chicago Freelance Photojournalist. This evening is designed to embrace the most important part of our mission and we hope that you will join us to experience first-hand, the difference you make in the lives of so many special women. Attendance is Limited to 120 - Register HERE!